New Smyrna (Fl) Monday February 12, 2007 – Sean Murphy is preparing for his first race of 2007 with his new SS Racing team. 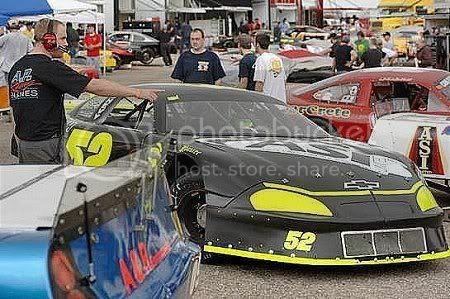 He will race in the final 3-nights of the World Series of Asphalt at New Smyrna Speedway in New Smyrna, Fl. Murphy is no stranger to the track, which is about 2 hours from his home in Fort Lauderdale. He’s won at the speedway in both Super and Limited Late Models. But this time Murphy will have a new team, car, crew chief, and sponsors. Even the track’s surface is new.